Less than 3 miles from downtown Asheville! Book Online (no obligation) and get $10 off your first session! Brie Ward is a licensed massage therapist who has treated more than 15,000 people. Her skill will help you see a real difference in your healing — and with fewer sessions! Call or email and schedule your appointment today! Sessions are available Monday through Saturday. It’s hard to find a Deep Tissue Massage Therapist who really knows what they are doing and has the experience and knowledge of the body and how it functions, especially from an athletic perspective and background. Having engaged in exercise and physical fitness her whole life, Brie has the Experience, the Knowledge, and the PASSION. Brie understands what it is like to have injuries or “set backs” whether due to athletics or “life”. They affect us all physically, mentally, and emotionally. Brie is very experienced in working with clients who have injuries, as well as those affected by Rheumatoid Arthritis, Fibromyalgia, and various spinal conditions such as Scoliosis. 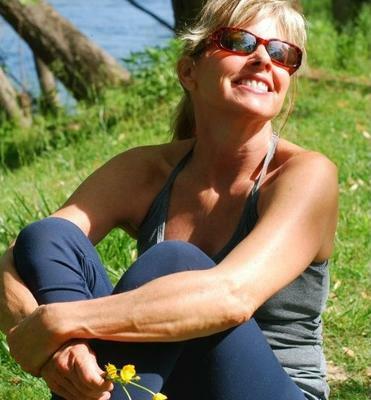 The focus of Brie’s practice is to facilitate the body’s natural healing abilities in clients suffering from chronic pain, injuries, illness, and stress. Brie works the body’s tissue to help lengthen and soften the muscles and connective tissue. Her overall goal is to help her clients be pain-free by getting to the root cause of the discomfort. Brie has been National Board Certified in Therapeutic Massage Therapy since 1996 and a certified USUI Reiki Master since 1999. She is licensed under the North Carolina Board of Massage and Bodywork Therapy, LMBT# 5490, and has spent many years studying a variety of massage techniques. During her career practicing Massage Therapy, she has treated over 15,000 people suffering from musculoskeletal pain. Much of this pain is caused by tension, stress, poor posture or repetitive stress injury. The body compensates for this by forming trigger points, pain referral, or misalignments in the pelvis and spine. She can assist you in healing any major chronic complaint, such as piriformis syndrome, rotary cuff pain or frozen shoulder, and neck stiffness with lost range of motion; usually in as little as 3 treatments, making this very affordable! Contact her to make an appointment! Sessions available Monday through Saturday.